Welcome to the North Wales Golf Club Internet Tee Time Reservation Service. This service allows you to book a tee time at our golf course over the Internet and get instant on-screen and email confirmation of your booking. 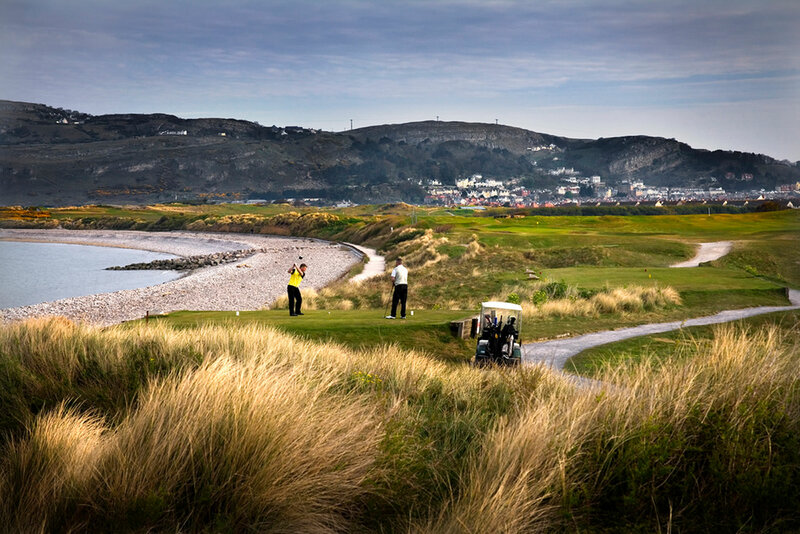 TERMS & CONDITIONS These are the terms and conditions for booking casual tee times and open competition tee times using our internet booking facility. Payment – Casual Tee Time ==================== To book a tee time on-line you will have to enter your credit/debit card details using our secure on-line payment process. To secure your reservation a charge of £5 for each player must be paid at the time of booking, which will be deducted from your card, the balance must be paid, by cash or credit/debit card, on the day of play. When you turn up for your round of golf, you should report to the Professional’s shop before beginning your round. Cancellation Policy =============== You can cancel your booking on the web site by entering your unique reference number. You may also cancel by phone. If you cancel your casual tee time booking more than one month (28 days) before your date of play, you will receive a full refund of your green fee deposit. Deposits for cancellations less than 28 days before your date of play are non-refundable. If you fail to cancel your booking, there will be a charge of 100% of the green fee made to your credit/debit card. Payment - Open Competitions ====================== If you are entering an open competition the full price will be deducted from your credit/debit card immediately. Entries cancelled one month (28 days) prior to the date of your tee time will receive a full refund. No refunds will be given after this date. In the event of marginal weather, unless the course is deemed closed, all scheduled play will occur. If you are unable to play due to the course being closed we will arrange for a full refund of the entry fee paid. Course Closed ============= In the event of marginal weather, unless the course is deemed closed, all scheduled play will occur. If you are unable to play due to the course being closed we will arrange for a full refund of monies paid. Booking Transferable ==================== A casual tee time booking is completely transferable. Therefore, should you be unable to make your tee time, you can offer the tee time to someone else such as a family member or friend. Handicaps ========= This facility is only available to golfers who have a handicap of 28 or less (men) or 36 or less (ladies). If you don't have a handicap, you must be able to play to an equivalent standard - NO BAG SHARING. Dress Code ========== Please note that only clothing designed for the playing of golf is acceptable on the course. In the Clubhouse the basic rule is SMART CASUAL - no football shirts or logos, no camouflage clothing, no training clothing or flip flops. Spikes ====== On the Golf course, golf shoes must be worn (soft spikes only please between April and October). BUGGY HIRE: Buggies and trolleys are available for hire through the Professional’s Shop (01492 875325) and payment should be made in the Pro’s Shop on the day of your visit. The club has 11 buggies that can be reserved in advance. If you require a buggy you should enter this in the booking form. We shall contact you via email to confirm availability. If you require to book golf clubs, trolleys, caddies, restaurant, etc you should enter these requirements in the booking form or alternatively you can contact the club directly by phone on 01492 875325.